Situated on the Inishowen Peninsula, The Malin Hotel boasts boutique rooms with Egyptian cotton sheets and a French influence. There is a chic restaurant, and Malin Head is only 8 miles away. Elegantly furnished with designer wallpaper, the rooms offer private bathrooms and some feature roll-top baths. Guests can relax with a TV and tea/coffee-making facilities in the room. 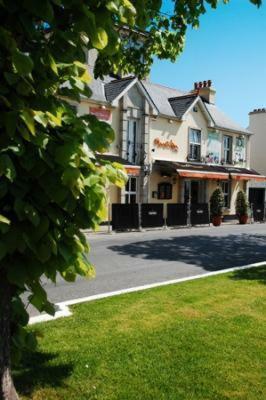 Jack Yeats Restaurant serves a mixture of traditional, locally sourced dishes and European cuisine, along with an extensive wine list. The Inishowen Peninsula and Malin Head area feature numerous scenic walks, and horse-riding and kayaking can be arranged through the hotel. Free parking is available, and Derry can be reached in 45 minutes’ drive.